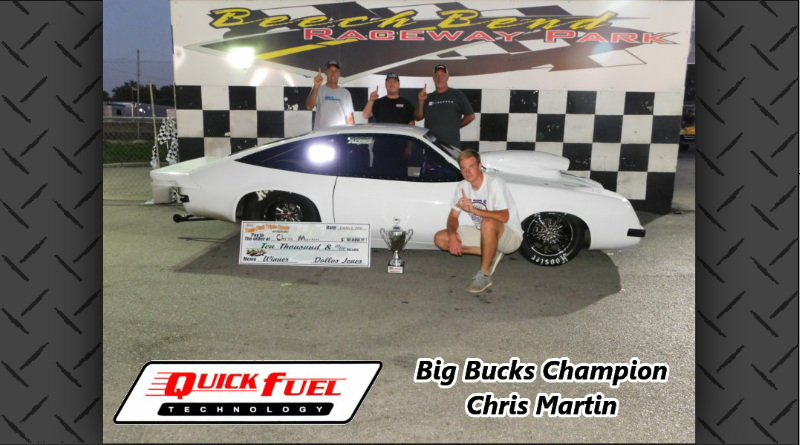 BOWLING GREEN, Ky. – Beech Bend Raceway Park hosted the final Quick Fuel sponsored Tenn-Tuck Bracket Bash of the 2018 season over the weekend. The Tenn-Tuck series is one of the most recognized and respected big dollar bracket series in the country. With over $50,000 up for grabs over three days of competition, winners walked away big bucks, a cool trophy, and a “Happy Gilmore” big check. DragChamp is your source for big dollar bracket racing news online. Visit our site daily for the latest drag race results.